Victim Witness Services is hiring! Victim Witness Services for Coconino County is seeking to hire an Office/Victim Compensation Coordinator for their Flagstaff office and an On-Call Crisis Responder. Victim Witness Services for Coconino County is proud to announce its 19th annual “A Taste of Flagstaff” will take place on Monday, October 22nd at Little America Hotel in Flagstaff, Arizona. 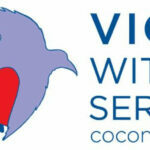 Victim Witness Services for Coconino County is seeking to hire a Felony Victim Advocate for their Flagstaff office. Nature of Work: Under the direct supervision of the Lead Advocate, this position provides direct services to victims of felony crimes in a trauma-informed, person-centric manner. The Felony Advocate will develop and maintain an evidence-based approach to serving victims of these crime types. Victim Witness Services has several job postings open for applications! Apply for Executive Director, Clinical Coordinator, or Domestic Violence Victim Advocate in Page, AZ. 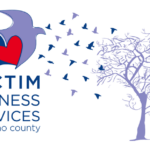 Victim Witness Services is raffling 4 Southwest Airlines vouchers, valued at $800! Drawing will be held on 4/28/17 at 4pm. A maximum of only 300 entries will be sold! One winner will be notified and receive ALL 4 PASSES.